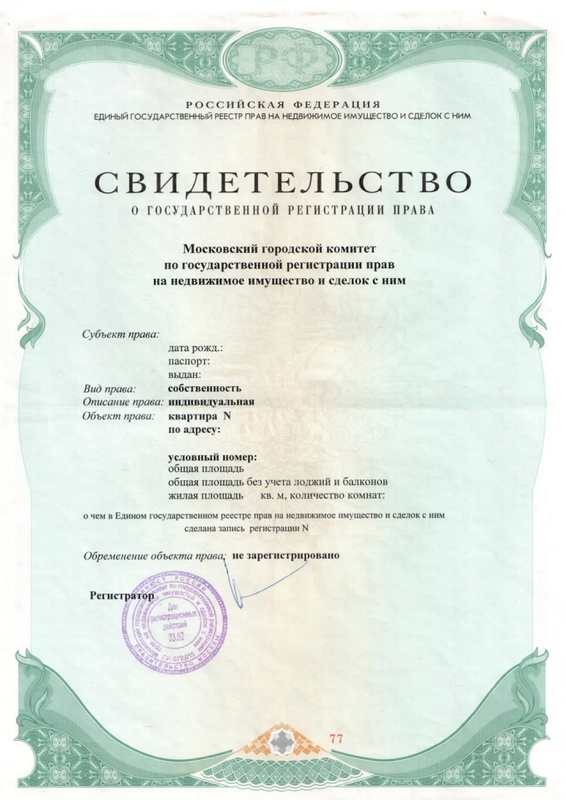 Certificate of ownership of the apartment - an important document on the basis of registration by place of residence and stay in owned housing, different transactions with him and other actions. To receive it is necessary to refer to the territorial division of Rosreestr. Collect the necessary documents. The contract of purchase and sale or other between individuals must be notarized. All the papers drawn up in simple written form, you must provide a complete two original copies (one remains in the archive) plus a copy. Remove the copies and other documents, but will need their originals. Application form you can download on the website of the Federal registration service or to its territorial subdivision. The filling is allowed on the computer by insertion into a printer, typewriter or by hand. If you are going to send the documents by mail, you will need to assure the signature on the statement notarized. Requisites for payment of registration fee and its amount can be found in the territorial division of Rosreestr or branch of Sberbank. Take the documents to the Federal registration service in office hours or send by post a registered letter with a list of enclosures and acknowledgment of receipt. If they are all right, in due time you will receive a certificate.